Premium quality, sustainably sourced Antarctic Krill Oil with high levels of EPA and DHA Omega 3 fatty acids. Krill are tiny sea creatures that provide the main source of diet for a whole host of marine life, such as sharks, penguins and whales. Unlike those above them in the food chain, like Salmon, Mackerel and Tuna, they consume only plant life which makes them free from toxins such as mercury that can be harmful to the body. 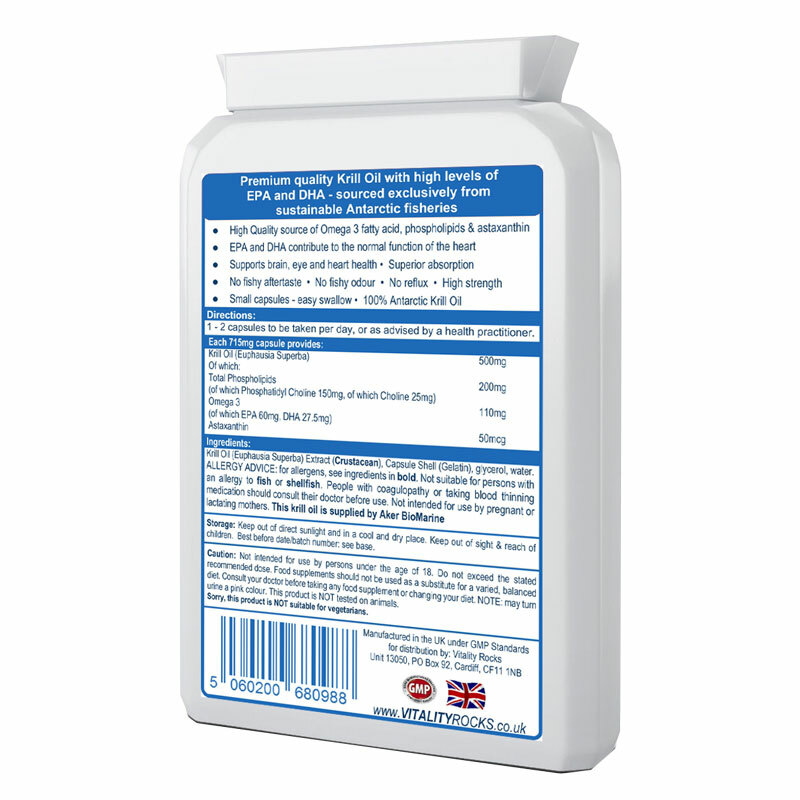 Our pure, natural, Antarctic Krill Oil won't leave a nasty taste in your mouth unlike many fish oils and is available in small, convenient super-strength 500mg capsules making it the perfect product of choice to obtain your daily quota of Omega 3 essential fatty acids. Because… although eating a sensible balanced diet means that many people will receive an adequate intake of Omega 6 due to its presence in most plant foods and vegetable oil, it’s important to know that Omega 3 can’t be manufactured in the body and is also easily destroyed by processing and cooking. Many modern diets are lacking in sufficient Omega 3. Essential fatty acids like Omega 3 have a role to play in so many important processes within the body that contribute to our overall health and wellbeing like digestion, brain and cardiovascular function, immune and musculoskeletal systems. 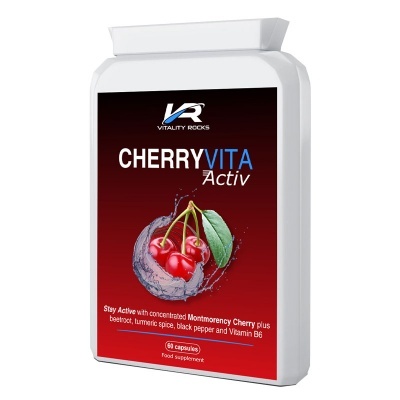 Breaking this down, Krill oil contains high levels of phospholipids that contribute to healthy cell function within our bodies and also, the powerful Antioxidant, Astaxanthin that is thought to help combat the damaging effects of molecules called free radicals that may potentially harm cells. 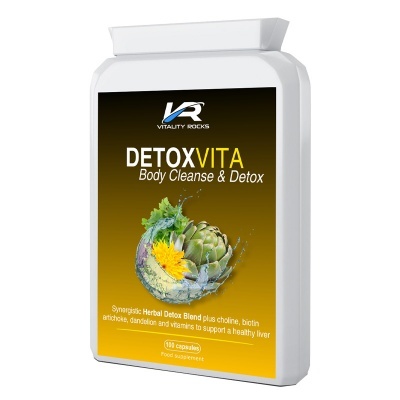 Free radicals are produced as a by-product of natural biological processes and can increase abnormally within the body as a result of exposure to environmental pollution. 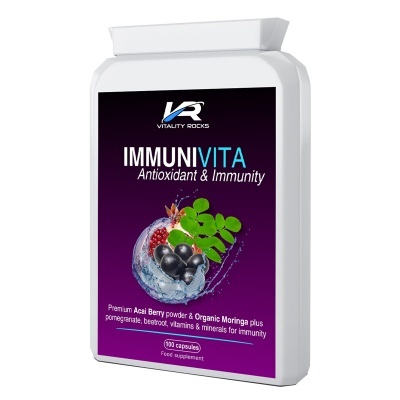 Antioxidants help neutralize free radicals helping protect the body against negative effects of ageing and disease. 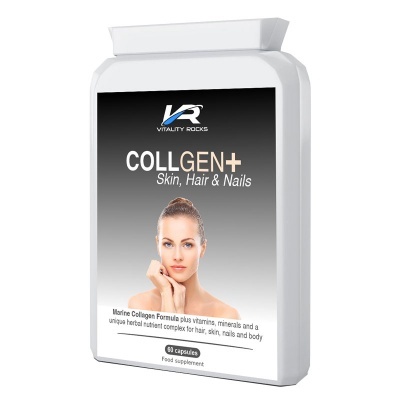 Trust Vitality Rocks to source the purest Krill Oil to provide maximum nutritional benefits. 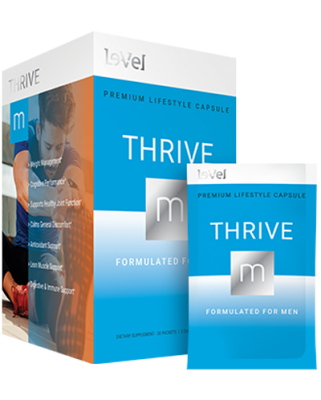 Take 1 to 2 capsules per day or as advised by a health professional. 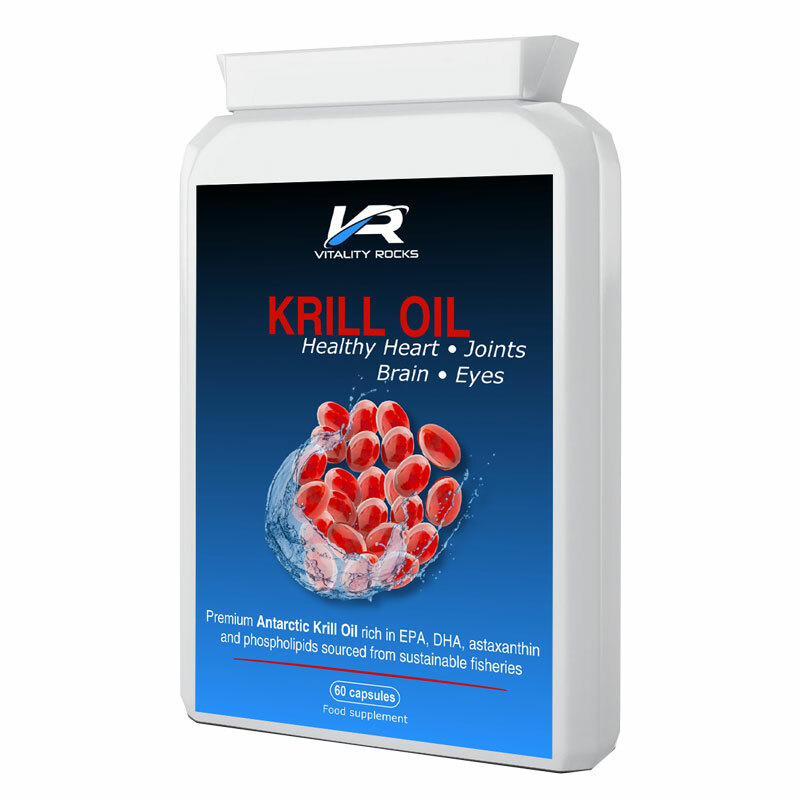 Krill Oil (Euphausia Superba) Extract (Crustacean), Capsule Shell (Bovine Gelatin), glycerol, water. This krill oil is supplied by Aker BioMarine. Not suitable for persons with an allergy to fish or shellfish. People with coagulopathy or taking blood thinning medication should consult their doctor before use. Not intended for use by pregnant or lactating mothers.